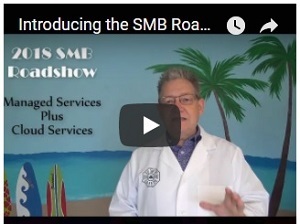 Thank You to the folks who already signed up for the big SMB Roadshow 2018. As I work through developing all new material for this roadshow, I am getting very excited. I just finished updating the Agenda and Details page over at www.smbroadshow.com. … Followed by BeerFest 2018! The bottom line is always: We guarantee you’ll learn tips and best practices that will pay for this seminar! As always, my handouts, checklists, and worksheets will save you many hours labor. I managed dozens of technicians at a time before starting my own consulting business. Find out what that taught me. I was Site Manager for PC Software Support at HP’s Roseville, CA plant – managing 25 technicians and responsible for 7,000 computers on 5,000 desktops. Find out what that taught me. I have built and sold two successful managed service businesses. Find out what that taught me. - Buy now and save! 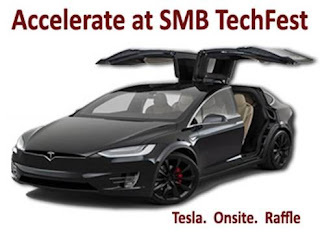 I'm still working on the web site, but tickets are now available for the 2018 SMB Roadshow. Our theme this year is The Killer Combo: Managed Services Plus Cloud Services. We start with a discussion of the 25 absolutely unbreakable rules of delivering perfect managed service. After that, we discuss the modern state of cloud services in the small business space. And of course we finish off bringing it all together as profitably as possible. LOTS of Handouts and Checklists — at no additional cost! Onsite registration is only $259 - a great bargain! But if you pre-register, your price is only $199 for the first attendee and $149 for additional attendees! 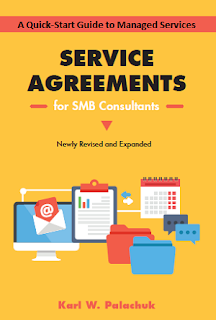 More details will be posted on the SMB Roadshow web site. We have already had several people sign up in four cities! More to come, I am sure. 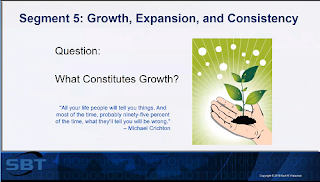 In addition to discussing a bit about where our industry went in 2017 and where I think it's going in 2018, I spend over half of this webinar talking about right-sizing your company in the modern world. Many business owners have bought into the myth that you have to grow all the time - doubling the number of clients; doubling the revenue; doubling the employees; etc. It doesn't have to be that way. You can grow with intention. With some thought, you should be able to figure out the "right" size for your business. That might be one person, two people, five people, or fifty people. Whatever it is, the size and make-up of your company should be your intentional decision. Once you know what you want to do, and how big you want to grow, you can begin moving in that direction. And if you don't want to focus on doubling and doubling forever, you don't have to. There are many ways to make money today without growing X% per year. You can reduce costs all the time. You can outsource tasks. You can replace your smallest client with your new largest client. And so forth. Obviously, there's lots more juicy information in the 75 minute presentation. Check it out! As always: I appreciate all your support and look forward to an amazing New Year! This morning, on my 9th Annual State of the Nation address for small business IT, we announced the formation of Managed Services in a Month Peer Teams - in association with Bering McKinley. 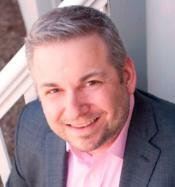 What are "Managed Services in a Month" Branded Peer Teams? 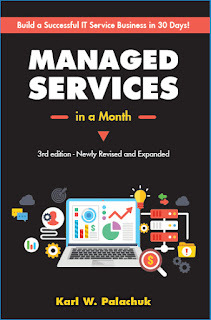 Basically, these are peer groups focused around the ideas and strategies outlined in the 3rd edition of Managed Services in a Month (MSIAM) - and in my other writings on processes and procedures. The idea is to start with MSIAM as a framework for improving your business. Join Josh Peterson and me on Wednesday, January 17th for a live webinar. We'll explain the whole concept, introduce pricing, and answer all your questions. Register Here. 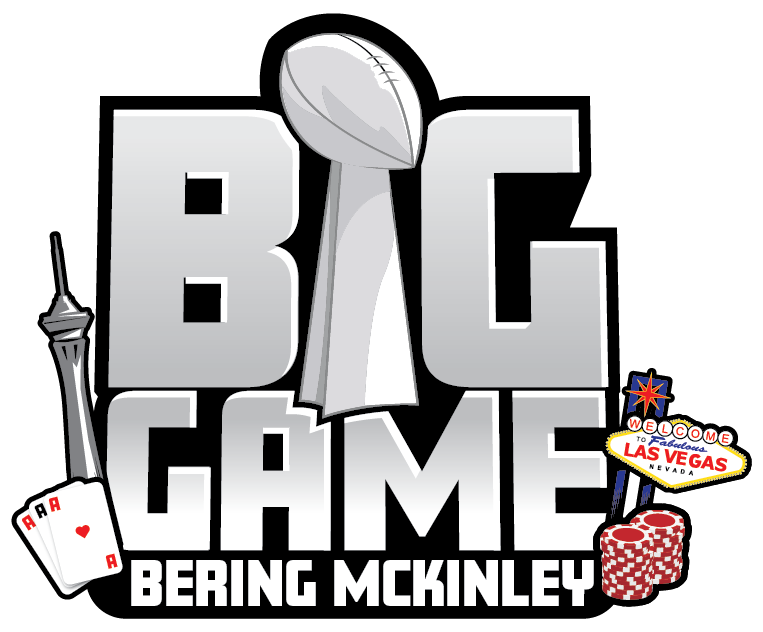 More information also available at Bering McKinley.
. . . Now he's bringing all that focus on success to the Managed Services in a Month Peer Teams. This morning I also posted a 30 minute interview with Josh over at www.smbcommunitypodcast.com. You can check out the podcast there or just watch the video here. Then register for the live webinar January 17th - where we'll answer all your questions. Or just Join a MSIAM Peer Team right now!! !